Launched on the 13th March 2018, the BTC Prestige Bitcoin trading app offers free trading signals for trading in Bitcoin, cryptocurrencies, CFDs and Forex. It alleges that traders don’t need any knowledge of financial markets as they simply copy the trading signals to the trading platform and generate a huge income. However, the marketing ploys used by the BTC Prestige software providers are highly controversial and have given rise to ‘scam’ accusations and serious warnings, from experts in the industry. To find out more about the BTC Prestige claims and why you should steer clear of trading signals scams, read our review below. BTC Prestige tries to draw in customers by falsely claiming that until now, China and Russia have not allowed any trading in Bitcoin. It goes on to say that new laws will be passed very soon in those countries, allowing the use of Bitcoin, leading to a price surge in Bitcoin and other cryptocurrencies. Even if this were to happen, trading in Bitcoin CFDs would not be affected in the least, as traders don’t own the physical assets but simply trade in the differences in price, resulting from market movements. A close look at the BTC Prestige website revealed that lies and fake news are being used to manipulate gullible people into parting with their money. Unfortunately, BTC Prestige is just one more of the hundreds of CFD signals providers flooding the internet. Whilst many automated signals providers are proven scammers, there are some serious companies offering reliable CFD and Forex trading signals. Importantly, they work together with regulated CFD brokers, ensuring that traders’ funds are protected. The trading software claims to offer a safe and profitable trading system with reliable trading signals for Forex and CFD trading in cryptocurrencies and other asset classes. However, we consider the signals generated by BTC Prestige of very poor quality. Based on available reports of user experience, the BTC trading signals success rate averages at about 50%. Importantly, whilst BTC Prestige claims to predict price movements across all financial markets, there is no explanation of how the trading signals are created and whether technical indicators are used to generate trading signals. In our experience, reputable trading signals software is based on sophisticated algorithms with inbuilt technical indicators. We have reviewed several reputable trading signals software companies demonstrating credible results. There is no customer support from BTC Prestige. The only possible source of support is from the unlicensed broker with whom traders must open a trading account. BTC Prestige is only a signals provider for Forex and CFD trading. The software cannot handle financial transactions. Subsequently, the company works together with an unlicensed forex broker, generating income for both companies. Traders must deposit money with the broker and give their personal and financial data. Bearing in mind that the brokers working with BTC Prestige must understand that the Bitcoin trading signals are mostly ineffective, we consider it risky to trust these brokers with your money. 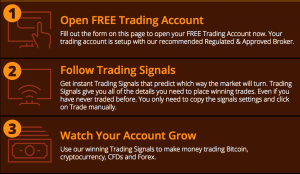 MetaTrader 4 Review – Great Forex Platform! CHECK IT OUT NOW! Investing – Are Securities Protected From Inflation?